Create a bouncing ball that bounces in a believable, realistic way. The action should be smooth and flowing. This is a 4-stage exercise - do as much as you have time for. Animate a ball bouncing on a looping cycle. Adjust the timing in the graph editor to give the ball different qualities. Say, a rubber ball, a tennis ball and a lead cannon ball. Add a translation so the ball bounces forwards and gradually comes to rest. (If you have time) put the ball in a simple environment, say on a ping pong table, or have it bounce down some steps. You can also import free sets and props from turbosquid. Check YouTube for video reference of balls bouncing. 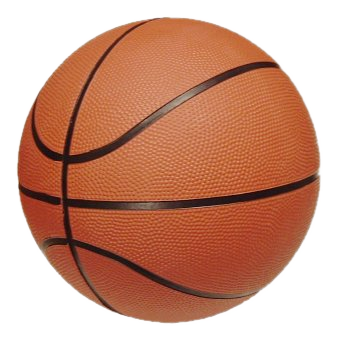 Watch a ball bouncing yourself - study the motion. Note how different balls with different properties bounce, such as a lead ball or a rubber ball. You can either create a ball yourself using create/polygon primitives/sphere. Also see our blog post about the ball rigs here. It will take roughly 2-3 hours to watch all the videos this week. You should watch them in the order shown. 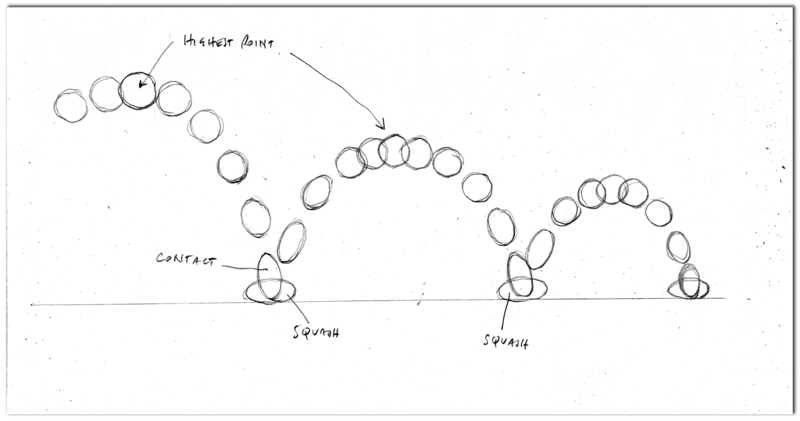 This week's handout is a thumbnail sketch of a ball bouncing. Import one of the bouncing ball rigs (see above) from highEnd3D.com or create a polygon primitive. Start off by getting the ball to bounce up and down. Then, once you have done this, copy and paste the curves so that it bounces several times. Now add a forward translation in the z axis so that the ball bounces along in a direction. Adjust the bounce so that the ball bounces slightly less, and lower, on each bounce, and finally comes to a rest. Create a simple set, perhaps some stairs, for the ball to bounce down. Try creating different kinds of balls, such as a golf ball, football, basketbal or tennis ball. How does each one move? Send us your final Maya scene file as an email attachment to info@animationapprentice.org. If you have any questions, post them at the Facebook Classroom. Create your own video channel at YouTube and upload your shot there.